EON is an energy company in the UK providing power and gas to its customers. EON Energy is a company with more than 9,000 employees in the UK with a revenue of £9.22bn in 2011. EON Energy provides energy to more than five million people in the United Kingdom and their main energy comes from renewable sources like wind and water. If you are an EON Energy customer and you want to cancel your account or you just want to move to another supplier, this article will guide you on the cancellation process, all you have to do is follow the steps provided in this article in order to save time and money. The information presented in this article will act as a multi-step guide created to help you to cancel EON Energy account. With every step you’ll take, you will be able to understand how to properly cancel your EON service or products. If you have questions related to this company or their services and products, don’t hesitate to visit the EON Energy Contact Numbers Page on our website. When you visit the main EON website you can find the best source of information on how to cancel your EON Energy contract. When you move home there is a possibility that you want to cancel your EON Energy contract because where you move there is no cover of their services or maybe you simply want to move to another energy provider. So the first step when moving home and leaving EON is to let them know about this. If you decided to go for good from EON Energy then you will surely receive help from them to make the leave as smooth as possible. It will take about three weeks to move to another supplier. In this case, you don’t have to give EON the final meter readings. The new supplier will ask you about this final meter readings and then they will contact EON to close your account. After you have switched to your new supplier, you will receive the final bill from EON. If there is a credit on your account, you will receive a refund within 10 working days. If you paid by Direct Debit, you are asked to leave it in place to make the final payment or to credit automatically your account.In case you have an outstanding balance to pay, EON may object to you switching suppliers. If that is the case, you need to contact the new supplier and them if they will transfer the balance to your new account, you can stay with EON and carry on paying your balance or you can pay the outstanding balance. 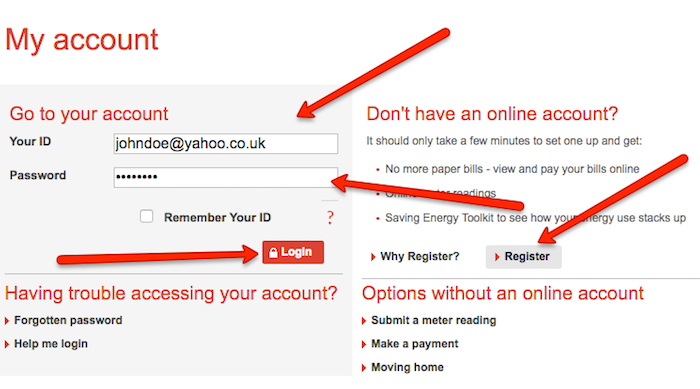 Locate My Account on the EON Energy homepage and click that button. You will have then multiple options like “Your account summary”, “Give us a meter reading”, “Tell us you’re moving” and so on. Choose the one you like and click it. In our case, choose the “Tell us you’re moving” button. On the next page, you will be asked if you are an EON customer, click yes and go forward. Then you will need to enter your login credentials. Use the Login EON page online and manage your account and locate the link to report that you are moving and you are done. In such difficult times, EON will help you to make it easier to cancel the contract of the dead person. You can contact the EON Bereavement Support online by email or by the telephone at the end of this guide. To cancel the contract you will need the death certificate to be able to deal with that account. When a person dies, EON will not disconnect the property just because it’s vacant, they will wait until a request from the executor is made. To contact them online, use the EON Energy Bereavement online form. In case you change your mind about switching from the old provider to EON, you can cancel within 14 days by contacting the customer service team on the phone number that you’ll find below. You will receive information about your last day by which you can change your mine and about prices, terms and conditions also. As you could see from this article, there is not very difficult to cancel your EON Energy contract, or services. When you move to another supplier you just need to follow some steps and inform them of your leave. If you already have found your new supplier, you need to provide them with your final meter readings and they will contact EON to let them know you are moving to the new supplier. However, if you are not used to dealing with this online business, you simply have the opportunity to contact the EON Energy phone number 0345 303 3040. You will be prompted by a member of the customer service team that will help and answer all your queries related to your cancellation of EON Energy!